Washington DC was designed by French engineer Pierre Charles L'Enfant in 1791. The grid arrangement of the streets, the placement of diagonal streets intersecting those grid and the National Mall were his ideas. Over the years, landmark monument and memorials have been erected developing a captivating city on all levels. With Washington Monument as its central point, every direction offers stunning views, as if the intention was to align the landmarks so all could be beheld at once. From the steps of the Lincoln Memorial, you can see the World War II memorial, the Washington Monument and the Capitol Building. From the back steps of the White House you can see the Washington Monument and the Jefferson Memorial. Aside from the central obelisk dedicated to the father of our country, there are no skyscrapers, so no expanse is blocked by modern edifices. The downtown large government buildings are individual masterpieces of architecture, with massive Grecian columns and detailed stony reliefs--no dowdy metal here. The city itself is bustling and alive, but unlike New York or, dare I say it, San Francisco, it is clean and safe. We walked everywhere, even at night, and never did we feel unsafe. By day the streets hum with the energy of government employees heading to work in their suits, high heels, briefcases, and ID badges in the 90 degree heat. By night the restaurants and clubs hop until all hours, and that's every night of the week. The city is both liberal and conservative; very old school and traditional, yet fresh. It made me wish I was younger, cheerfully exiting my Georgetown apartment and strutting off to my internship with Cal in the Capitol. Anyway, believe no one who tells you you can see the city in one or two days. You can't. We had five full days and six nights and there were things we would have liked to do more thoroughly. Telling you everything we did is definitely going to take more than one post, so after a long introduction, I will get down to the subject of Washington DC post number one: Four lump-in-your-throat not to be missed experiences in Washington DC and its environs. The memorials to our esteemed presidents, Thomas Jefferson, Franklin Delano Roosevelt, and Abraham Lincoln are an absolute must see while in WDC. What many do not realize is that they are open 24 hours daily (except Christmas) and are free to visit. While beautiful to behold by day, by night these colossal tributes take on a different life. Our countries forefathers are brightly illuminated and seem to sit (or stand, in Jefferson's case) with mighty authority over those that come to pay respects. Quite stirring is how many people are present, dwarfed under the strong stare of our 16th president, even at 10pm and later. There are bodies upon bodies in there, many speaking languages foreign to Honest Abe, though the mood is somehow respectful and peaceful. The Jefferson Memorial is located on the south bank of the Tidal Basin. Construction began in late 1939 and was completed in 1943. The original 19 foot statue standing upon a 6 foot granite pedestal was originally cast in plaster. When war restrictions were lifted following the end of WWII, the statue was cast in the bronze that is there today. Jefferson is shown in middle age, gazing toward the White House and holding a rolled document, believed to be the Declaration of Independence in his left hand. 54 ionic columns surround the round structure, creating an open view from all directions. The FDR Memorial is about a 15 minute walk along the banks of the Tidal Basin from the Jefferson Memorial. When walking from the Jefferson Memorial, you will encounter the memorial backwards, which is how we experienced it. This memorial was not here the last time I came. The memorial was completed and dedicated by President Clinton in 1997. Though not as majestic or visible as the other well known memorials, it is no less interesting or poignant. The premise of the memorial is to cover the 12 years of history spanned by FDR's presidency by dividing this time into four separate outdoor rooms each representing one of his terms. The rooms, which sit on 7.5 acres of land, are more aptly described as gardens, as each uses plant life, water, stone, and sculpture to symbolize FDR's life. FDR himself greets his visitors an the entrance with a large bronze statue (actually dedicated 3 and a half years after the original dedication) on which he is draped in a large cloak and seated in his wheelchair, with his little dog, Fala, at his feet. Maybe I saved the best for last. Another 15 minute walk along the tidal basin and you have arrived at not only possibly the most beautiful structure in the city, but at a national symbol of civil rights and freedom. The Lincoln Memorial was dedicated in 1922 by president William Harding. Inside the massive structure Lincoln sits in thought. His 19 ft likeness is carved in marble and took 4 years to complete. It was so massive, that when it was completed, it had to be shipped in 28 pieces. On the walls on either side of the statue, are engraved the words of the Gettysburg address and the 2nd inaugural address. Behind the statue are inscribed into the wall the words, "In this temple, as in the hearts of the people for whom he saved the Union, the memory of Abraham Lincoln is enshrined forever." The view from the steps is stunning. Beyond the Reflecting Pool stands the brightly lit Washington Monument and beyond is the illuminated Capitol building. It is very hard to catch all this nighttime beauty without a tripod, so likely I'm going to be borrowing some images from the internet. 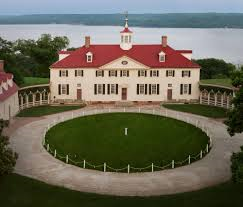 Mount Vernon was the home of George Washington. The estate is located on the Potomac River, about 30 minutes from WDC in the town of, you guessed it, Mount Vernon, VA. Tickets for adults are $17 (12 and over), and for children are $9. I recommend buying tickets online ahead of time, at http://www.mountvernon.org/ , which allows you to pick the date and time you wish to take the mansion tour. Tickets include the guided mansion tour, which takes about 30-40 minutes, and admission to all the buildings and gardens on the estate, including the distillery and gristmill, which are about 3 miles away. The land was owned by the family since the 1630's, and George came to live there in 1758. From 1758 to 1778, he expanded the mansion and the estate. From 1758, Mount Vernon was his only residence until his death in 1799. Martha only lived three years after George's passing, after which time the property was passed to relatives, who did a less than stellar job of managing the property, and by 1848 the property was put up for sale. It was purchased in 1858 by the Mount Vernon Ladies' Association for the Union who have maintained the property privately until today. The paying public has visited Mount Vernon since 1860. The estate is on 500 acres which include the Mansion itself, a storehouse, clerk's quarters, a smoke house, wash house, coach house, ice house, a Forest Trail, a working 4 acre Pioneer Farm, slaves quarters and elaborate gardens. The gravesite of George and Martha Washington, as well as a slave burial ground and monument, are a short walk from the mansion. I must tell you that while all of this was interesting, it was all outside, and in the 91 degree heat, became difficult to endure. A great relief came from the extensive Museum and Education Center, where you really got to learn about the life of the remarkable man most of us only know as the first president. George Washington was truly a Jack (or a George--haha!) of all trades. 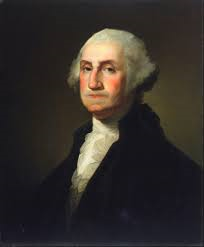 During his lifetime, he was a farmer (showing true innovation by farming wheat instead of the Virginian cash crop, tobacco), an innovator (designing a 16 sided wheat thresher barn), a whiskey distiller, a fish farmer, a surveyor, a soldier, the Commander of the Continental Army, a drafter of the Constitution, and oh yeah, the first president of the United States of America. Washington began his path to leadership in 1753 as a soldier fighting on the side of the British in the French and Indian War. When English general Edward Braddock was fatally wounded in battle, Washington mounted his (Braddock's) horse and carried on as commander. For his bravery and general smarts, he was made Commander of all the Virginian troops at the age of 23. This proved to be a frustrating assignment and after the end of the war, he went home to Mount Vernon where he did all the stuff listed in the last paragraph plus being elected to the Virginia House of Burgesses, where he was active in opposing the British. When the Revolutionary War broke out in April of 1775, he was placed in command of all colonial forces. Then this part you know--crossing the Delaware, Valley Forge, battle of Yorktown, British surrender--George Washington had led our troops to victory and ensured our independence as a new nation. This is the part you might not know. Washington was at the apex of his career. He could have been crowned king of America. However, unlike conquerors before him, like Napoleon and Julius Caesar, on December 23, 1783, he chose to retire from military life and let the new government do what it was set up to do. He had four years of peace, until he was called back into the service of his country, both to write the Constitution, and then to serve as president, an office he held until only two years before his death. Anyway, the long and short of all of this is. What I learned at Mount Vernon was why the white haired guy on the dollar bill was so extraordinary! I didn't really know before! A side note is that it is a nice treat to have lunch at the reasonable Mount Vernon Inn. A wide range of choices and air conditioning. Excellent. The peanut and chestnut soup is quite filling. The World War II Memorial was also not present in Washington DC when I was there last. It was dedicated by President George W. Bush on May 29, 2004. Like the other memorials, it is open to the public at all hours and free to visit, but in my opinion, may best be seen during the day. The memorial is located between the Lincoln Memorial and the Washington Monument. "They had no right to win, yet they did, and in doing so they changed the course of a war...even against the greatest of odds, there is something in the human spirit--a magic blend of skill, faith, and valor--that can lift men from certain defeat to incredible victory." "Here we mark the price of freedom"
We went to Arlington National Cemetery the same day that we had spent roasting in Mount Vernon. We had hoped to drive to the Iwo Jima statue but it was closed for a private event. We only needed to see two things at Arlington--the graves of JFK and Jackie, and the changing of the guard at the Tomb of the Unknowns. The map was deceiving but the lady at the information desk said that walking to those two places was completely doable, and if we hurried we could watch the guard change at 6 pm. It was hot and we were cranky and tired and clouds were rolling in, but off we went. We saw JFK and Jackie and also the graves of brothers RFK and Senator Edward Kennedy, and began our trudge up the hill to the Tomb of the Unknowns. The Tomb of the Unknowns is a tomb dedicated in remembrance of all American soldiers from World War I to the Vietnam War, that died without having their remains either recovered or identified. There in fact are remains in the Tomb. An American WWI soldier was exhumed from a French cemetery and was brought westward to be laid to rest here. The "headstone" actually sits upon these remains. There are crypts for similar remains of WWII, Korean War and Vietnam War soldiers, but these headstones are flush with the ground. Arlington National Cemetery is open from 8am until 7pm (slightly less in the winter), but the Tomb is guarded 24/7/365, in all manner of weather. The Tomb has been under continuous watch since midnight on July 2, 1937, incidentally 9 days before my 78 year old father was born. This fact in and of itself is completely mind blowing. In the summer the guard is changed every half hour, in winter every hour, and during closed hours, every two hours. The guards are soldiers of the US Army. They do not wear insignia rank while they stand watch. They go through rigorous testing and training, and only a fraction of those who volunteer actually end up serving. The "Tomb of the Unknown Soldier Guard ID Badge" is the second least awarded badge in the US Army, second only to the "Astronaut Badge." The guard at work is a symbol of great precision, respect, and honor. The maneuvers are a meticulous combination of 21 seconds and 21 steps, in keeping with the symbolism of the military honor, the 21 gun salute. The changing of guards is no less precise or meticulous and is done an absolute eerie silence broken only by the clicking of heels and thunder beginning to roll in the Arlington skies. It is not so much the ceremony itself but the intense solemnity and devotion demonstrated by the guards as they perform it. The sacrifice of the reposed is as real today as when the remains were interred nearly 80 years ago. This is one long post! There should be more coming as there is so much more to say about this trip. More about Washington DC, Jamestowne Settlement and Colonial Williamsburg should be forthcoming. Be patient with me!! I’m very much interested in visiting these memorial places. Can you tell me the best time to look out these places? ?